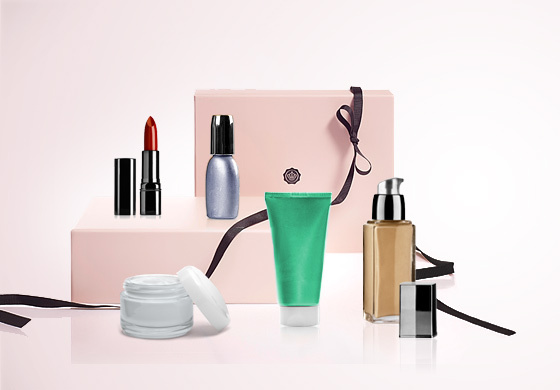 If you are amongst the large beauty fanatic population of India who cannot wait for GlossyBox to come to India then your prayers have been answered. GlossyBox is coming to India and it gives me immense pleasure to be one of their hand picked hosts for a giveaway of one whole goody box to one lucky winner! Each month, hundreds of thousands of women around the world eagerly await the delivery of their GLOSSYBOX Beauty to discover amazing new beauty products. We send out a gorgeous box filled with a surprise mix of 5 high-end travel- and full-sized beauty and cosmetic products from world’s top beauty brands. This gives women the chance to experiment with new products in the comfort of their own home. So all you have to do is this: Leave a comment in the comment box below with an email address and answer this simple question: Which is the one beauty product you cannot live without? Like GlossyBox on facebook and like FTLOFAOT on facebook too. These are essential to enter the giveaway. Tweet about it and leave the relevant link. For every condition you fulfill for an extra entry, please leave the relevant link. 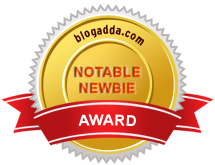 The giveaway is open to all Indian readers and is open till 26th Feb, 2012. One beauty product I absolutely cannot live without is the Lotus Herbals' Strawberry Lip Balm. The smell is heavenly and it's highly moisturizing. Love it! Hi Rach: Please leave your email address along with your comment and a link to tweeting about the giveaway too. This is for everyone to follow! beauty product i cannot live without is fabindia oil free moisturiser and loreal kohl.just love dem!!! Cannot live without Kohl..Jet Black non smudgy Kohl.. I cannot live without my EOS Lipbalm. I already like Glossy Box and FTLOFAOT on facebook by the name Gunjan Gupta.One beauty product that I just can't live without is Revlon Kohl-dark,thick and practically smudge-proof.I just won't step out of the house without kohl in my eyes.Would have said,lip balm too but a lip balm is more like a medicine for my dry lips ;) so not really a beauty product for me :D.
One product that I cannot live without is the Maybelline gel eyeliner in black. the beautiful flicks you can create with it! I follow you and glossybox on fb under the name jayashri subramanian.. I can't live without a kohl pencil!! Ariez Dustoor, The CEO of GlossyBox India has changed his title in his LinkedIn profile (http://www.linkedin.com/in/ariezdustoor). Until yesterday morning, his title was "CEO and Founding Partner of GlossyBox India". Yesterday it was changed to "working on a new venture ". I think GlossyBox is gone for good, dear.